MOSCOW (Sputnik) - The UK Royal Air Forces escorting Russian military aircraft in the Black Sea is a provocative action, which undermines regional security, the Russian Embassy to the United Kingdom said late on Saturday. 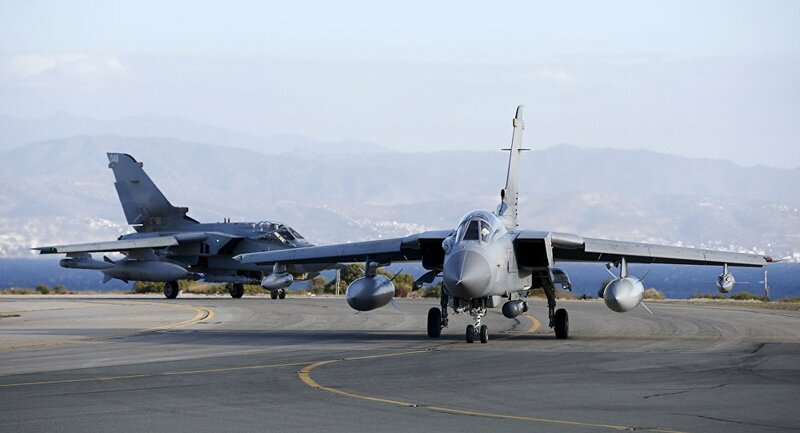 On Thursday, RAF said that its fighter jets “interrupted” a Russian aircraft which was allegedly on its way towards NATO airspace in the Black Sea. “This latest episode aptly demonstrates how harmful is the very idea of deploying RAF and other NATO forces in Romania, Poland or Baltic states. Instead of strengthening anyone's security, such military presence is being used by the British authorities for provocative actions of their own — not only through verbal statements, regrettable as they are, but also in real military terms, which is simply dangerous,” the embassy’s spokesperson said at a briefing, while answering question on the UK forces “intercepting” the Russian aircraft. The Russian forces fully comply with the international law and posed no threat to the United Kingdom, the embassy noted. “One might understand why Royal Navy escorts Russian military ships in the English Channel, in the vicinity of the British coastline, even if this there is no need for the UK to publicise it. But what kind of threat to Britain or its allies does a Russian patrol aircraft hypothetically pose while conducting flights off Russia's own shore, some 1500 miles away from the UK?” the embassy underlined. NATO has been significantly increasing its presence in Eastern Europe since the start of the Ukrainian crisis in 2014, using Russia's alleged interference in Ukrainian internal affairs as a pretext. Moscow has denied all accusations. Moscow has repeatedly voiced its protest over the NATO military buildup, saying that it will only undermine regional stability and result in a new arms race.